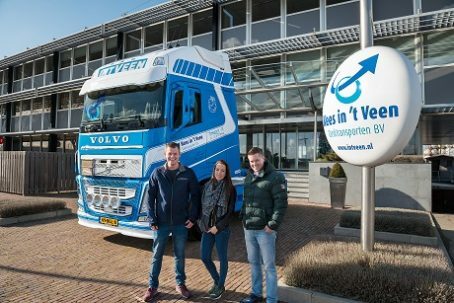 Bulk distributor spoke with Kees in ‘t Veen, the pioneer of the ITT Europoort ‘one stop tank container shop concept’, and asked his thoughts on the future of the tank container service sector. 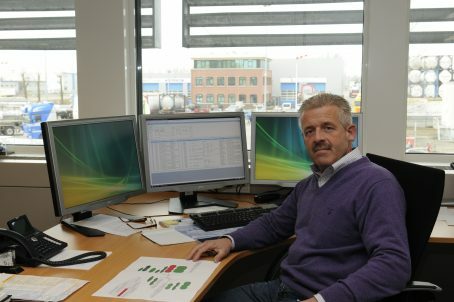 Firstly, could you tell us a little about yourself and how you first came to work on the ITT Europoort project? I joined my father’s transport company as a tanker driver in 1976. We were chartered by Van Ruiten to drive all over Europe including the former Yugoslavia, plus other countries such as Turkey, Jordan and Syria. In many of those countries there were hardly any garages and no mechanics at all who knew anything about our modern trucks. Using a mobile phone to call for help wasn’t an option of course, so we had to take an entire toolkit with us and fix things ourselves. In 1978 my father and I started our tank container operations from our family home in Berkel en Rodenrijs, and soon switched from just tanker trailers to a mixture of tanker trailers and tank containers as we worked for Bailee Freight which was one of the first companies to operate with tank containers. Tank container activities were expanding and in 1989 I took on my first employee, John Overdam, who is still working for us. We grew to a six-man team by 1994. Working with key clients such as Kemira enabled us to expand significantly and eventually led to us moving to the Europoort site. It was here we established a collaborative partnership with Aspenal, Flaxfield, Best Trucks and DBS (Profile Tyrecenter), which still continues today. In 2006 we opened our Tank Cleaning Europoort (TCE) operations and with continued growth, despite the economic crisis, began phase 2 of our expansion in 2011. Could you tell us a little about recent developments at the Europoort? The competition is very high, all costs are going up, yet price must go down. Price is only issue which seem to count to customers – service and quality are less important. We now refer to the initial TCE opening in 2006 as TCE1, and with the advent of TCE2 in 2011, this gave us our capacity to clean both chemical and foodstuff tanks completely separately. Because the market clearly demanded high quality food cleaning, we made plans in 2014 for Phase 3 of TCE, of which I’m proud and thankful now, in June 2017; the total concept of the ‘One Stop Shop’ has been achieved in full. Having all the activities together is what makes our concept unique – everything is thought of, worked out and implemented by our own workforce in collaboration with our regular contractors and subcontractors. This has resulted in the Visible Quality which is the theme of our organisation along with commitment and service. Are there plans for further development in the immediate future? Our new actual plans are in Moerdijk, where we bought a plot of 10,000 sqm, there we will build a repair facility for tank containers and tank trailers as well as storage for empty and loaded tank containers – ADR and non-ADR, but on a small scale storing 300 empty and 90 loaded containers. There will also be an office for our tank container planning and further partners, the same as the co-siting offices we have in Europoort. With this new site we are next to one of our clients, Stolt, so we can give them all the service they want very flexibly. This service is also available to all the clients we have in Europoort; 70-80 percent of these clients are also doing business in Moerdijk or are using rail or water connections from Moerdijk. What is the greatest challenge currently facing the tank container market, in your opinion? The competition is very high, costs are going up, yet prices must go down. Price is often the only issue which seems to count to customers – service and quality are less important. Also knowledge and experience are disappearing, we don’t see many young motivated people coming new into our industry. Where do you see the ‘Europoort concept’ within five years? It’s a difficult job to run a business like us, you must be a bit crazy! Of course I hope we are still in Europoort and are earning some money! After our latest investment we have enough capacity for the next five to 10 years for our expanding business. There is one element we will look to fulfil, drumming. Next to our site we have ETT tank storage (Vitol) and behind us we will get 100,000 sqm of warehousing – also ADR. All this together presents a great opportunity. Why don’t more ports have a full service offering on site like yours and could we see more in the future? It’s a difficult job to run a business like ours, but we are a family-owned company and we have a lot of committed people around us who are working very hard and don’t look at their watch. You must be a bit crazy! I don’t think other companies will replicate this because we don’t have a copy machine to copy our hard working people. Thank you for your time Kees. Before you go, could you share with us what could be changed to make yours and your customer’s job easier? It would have to be making a unique platform (EDI) to communicate between the depot/cleaning and clients/operators. Right now we have no IT connection and everything is communicated via email. Solutions we have seen in the market all seem to be different and not integrated across all these areas.